Home / Archive by category Stone Restoration"
Marble, granite, terrazzo, limestone, and sandstone are the most popular stone materials that many homeowners in Australia choose for their flooring. The cost to restore your flooring will vary depending on many different factors. In some aspects the type of stone has a lot to do with the cost of restoration. The floor types listed above are types of stone that would most likely need restoration on a regular basis. Within these types of stone the cost still varies. Marble, on one hand, would be costly to restore; while limestone would be cost efficient. The level of dirt and stains also affects the cost of the restoration process and cost. For a floor that hasn’t be restored in many years, it would be more expensive to fix than a floor that has been well kept, looked after and in a better condition. If you’re getting the floor professionally restored by VIP Stone Restoration, they will factor in the amount of time put into a project, along with other variables, to determine the cost of the overall restoration project. It is a smarter option to have stone floors professionally restored by VIP Stone Restoration because they are experts on restoring floors. Spending more money at first on a professional is better than having to spend more in the future when your floors need to be restored again, although it is okay to make this a DIY project. Each type of stone has different qualities than others. Because of this, each floor restoration won’t be the same. Restoring stone floors can change drastically; sometimes, professionals like VIP Stone Restoration are able to fix cracks and marks. In some minor case the entire stone needs to be removed. 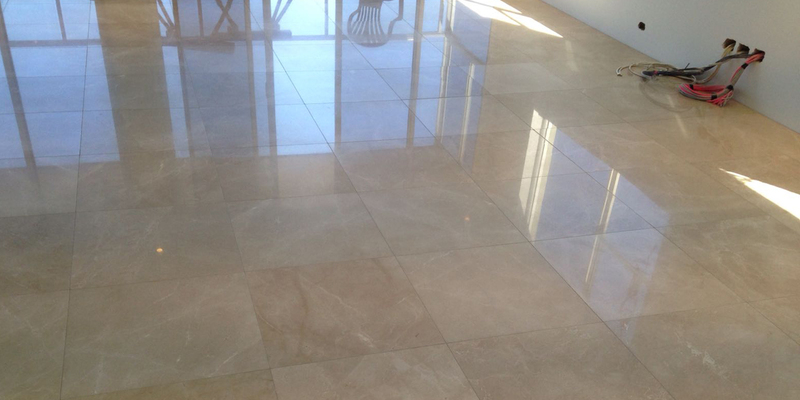 The VIP Stone Restoration Professionals will begin with cleaning the floor to make sure there is no dirt or grime. Then, the floor is polished. This process starts by rinsing the surface of the floor and then by applying the polishing product to the floor with a buffer. The project is finished by adding a sealer to the floors. The sealer makes it so that stains won’t be produced in the future. Firstly, you should purchase floor mats. Asking guests to remove their shoes before walking on the floors is also a good way to help prevent this dirt and sand from accumulating and causing wear and tear on your floors. Secondly, you should be wash your floors every so often with cleaners, especially a cleaner that doesn’t contain soap to avoid streaks on the flooring. It is also smart to avoid harsh chemicals on the stone. They actually don’t help the flooring at all. Usually, they just cause the stone to dull out and look older.